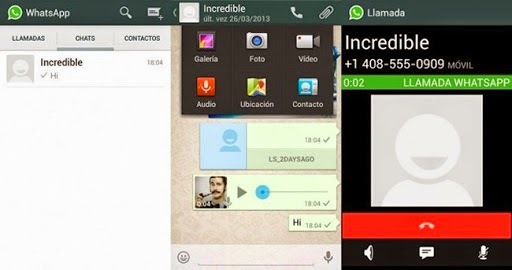 WhatsApp seems closer to lunch voice calling interface. As per the report from Android World, the screens seen in the latest WhatsApp build for android from the company’s site indicate the voice calling function is quite different from chatting with the different screens of dialing, call logs and contacts. According to report the app also has function of listen conversation again, WhatsApp development team is looking for ways to implement the voice calling service on both 3G and 2G networks. Jan koumn CEO of Facebook owned WhatsApp, said that the app will successfully launched in 2015 because still it has some technical issues like doesn’t have access microphones on the smartphone to properly enable noise cancellation.